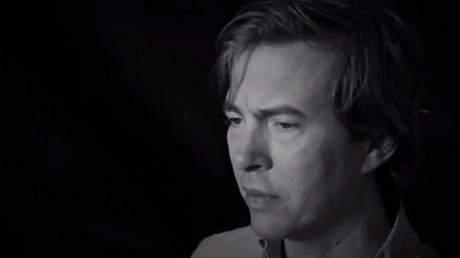 Following the release of his recent Dream River LP, indie rock mainstay Bill Callahan has released a new video for "Small Plane." The black-and-white video opens with old-timey piano, which is fitting as the video's modelled after a silent film, complete with grainy footage and dialogue cards. It's interesting to look at if occasionally goofy, but it's also punctuated with shots of Callahan delivering the song from a dark room. Check out the video for "Small Plane" below.